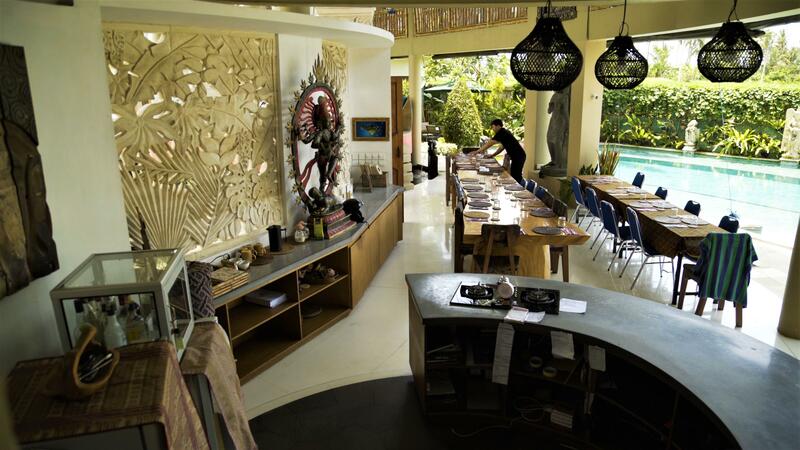 Far from the crowded tourist resorts of Kuta and Ubud, just outside the small town of Sukawati, the iconic domed roof of the Floating Leaf Retreat Centre appears to hover above the landscape, announcing its presence in hushed tones. 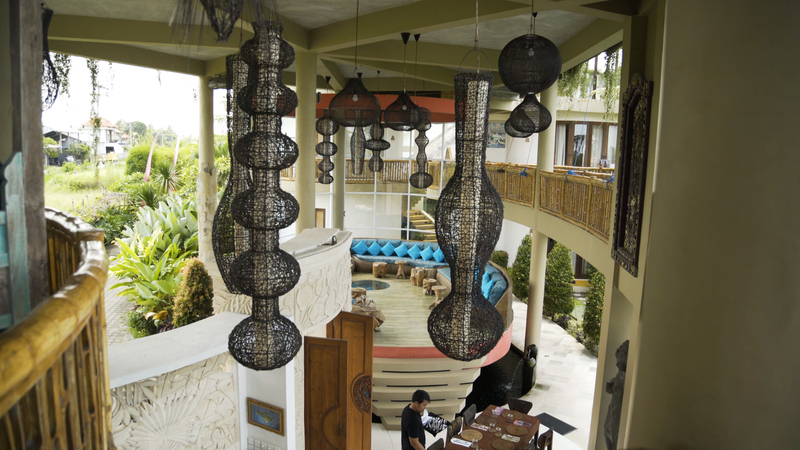 Surrounded by rice paddies and yet only a few minutes’ walk to the coast, the creators of Bali’s Floating Leaf have chosen the location for their retreat resort with conscious thought, maximising the benefits of a cool sea breeze and beautiful surroundings with a peaceful serenity that adds a deep connection with the spiritual essence of the island. We arrive at the gates and are welcomed by the friendly and warm smiles of Degus and Ryan who walk us through the peaceful gardens. The large ornate door of the hotel opens to reveal a team of staff to welcome us with cold towels and an iced mushroom tea before seeming to magically disappear. The welcome drinks are unusual to say the least, made from healing herb and mushroom tea they are slightly bitter and sharp to taste but leave us feeling wonderfully refreshed and healthy. The interior of the hotel is light and airy and in all honesty using the word interior feels entirely misleading. There are no walls separating the outside world, large glass windows allows light to flow seamlessly and effortlessly from one area to the next. 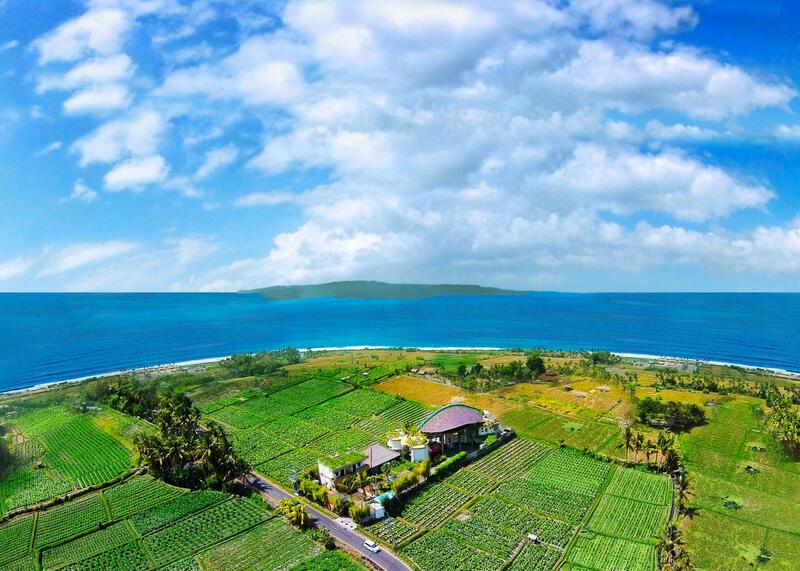 Low green fences indicate the perimeters of the resort offering privacy without compromising the beautiful rice field and sea views, allowing a cooling breeze to pass through every area of the bamboo constructed building. 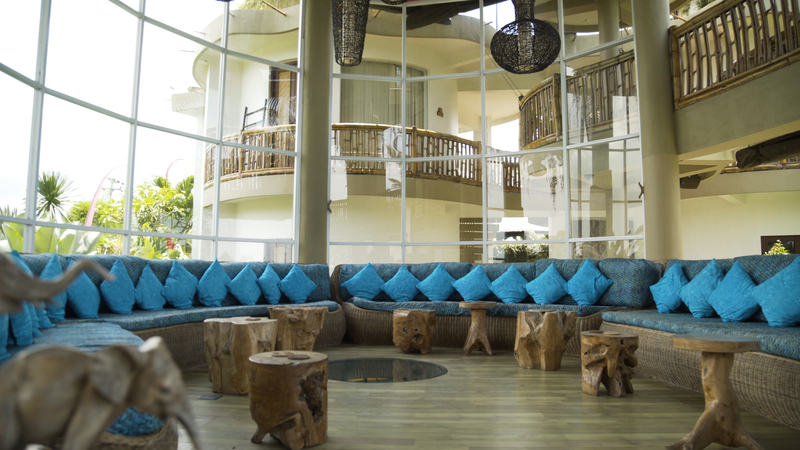 Curved seating areas provide a comfortable place to relax and enjoy one of their many natural health drinks whilst gazing out into the uninterrupted horizon. In fact, there are countless places to relax here, an inviting salt water swimming pool with sun-loungers provides a space to release your inner sun-worshiper, whilst upstairs there is an ornate daybed and vast views from almost every angle. 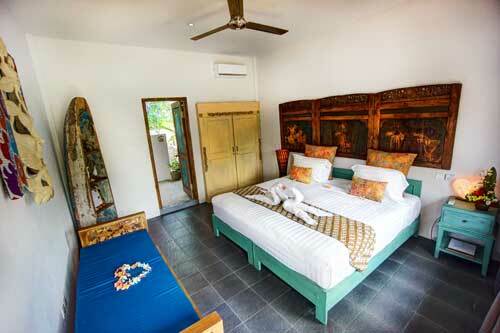 The yoga and meditation studio on the third floor encapsulates the peacefulness of the Balinese countryside. 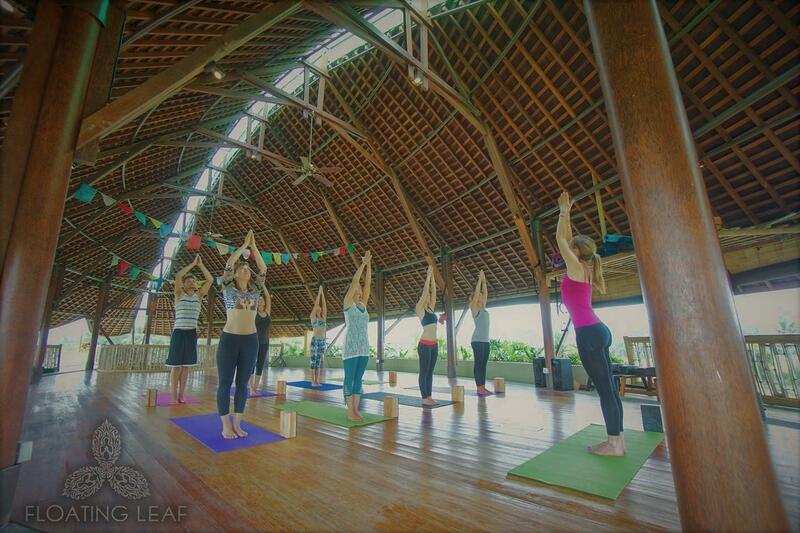 Those that come to the Floating Leaf will be treated to a complete, holistic and spiritual experience –3 day packages range from traditional Balinese Healing, Yoga or even Surfing lessons at the nearby beach. 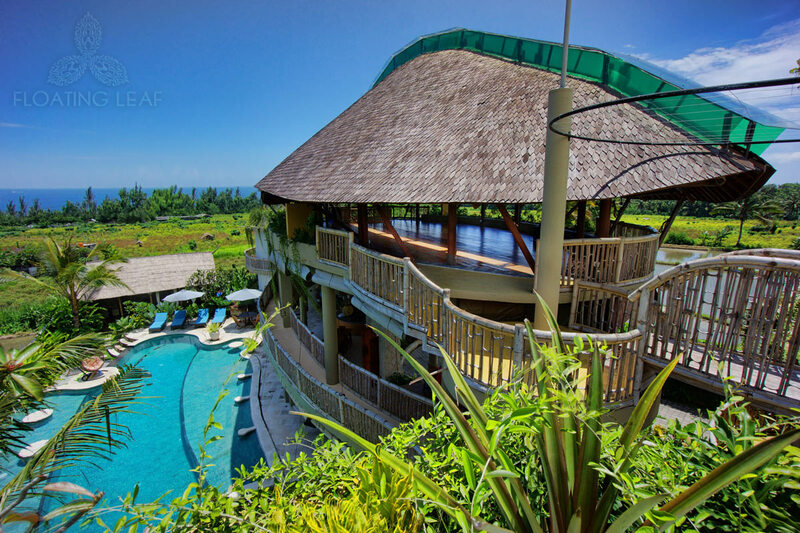 But it is also the perfect location to hire for those looking to host their own residential yoga, meditation or healing event with discounted rates for course instructors and full hotel facilities included. Spiritual healing, relaxation and eco-friendly luxury are all deep rooted in the Floating Leaf philosophy but more than this the retreat take care of their staff and community. Staff are not only paid above national and industry minimum standards but are also provided with family healthcare as well as a generous annual leave entitlement. Recycling and rubbish collection for the area is organised by the retreat, adding benefit to the community and protecting the area from plastic pollution, a daily battle in the rainy season as the rain washes trash down from the mountains.